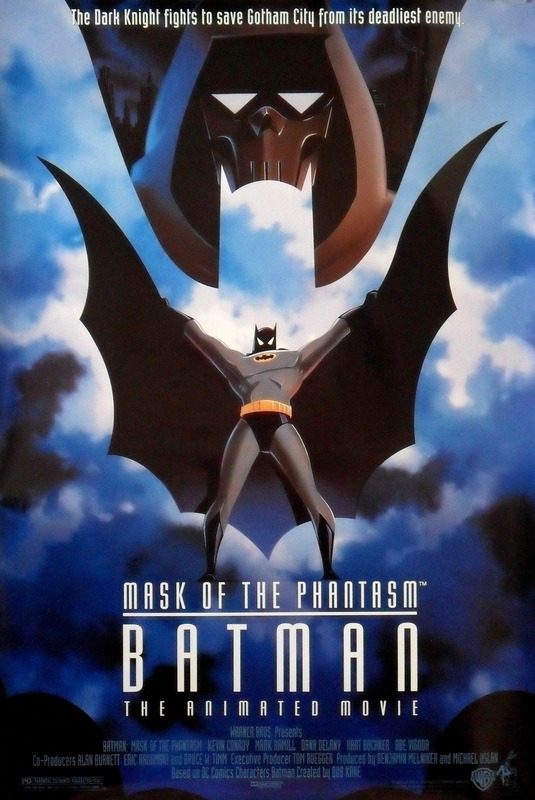 Despite its origins as a direct-to-video extension of the TV series, Batman: Mask of the Phantasm is widely regarded as being among the best of the Batman feature films. Being released in the midst of the Tim Burton/Joel Schumacher series likely helped, but even major critics like Siskel & Ebert apologized to their viewers on their TV show for not taking the time to review the film during its theatrical release and fawning over the film’s strength in both story and visual design. 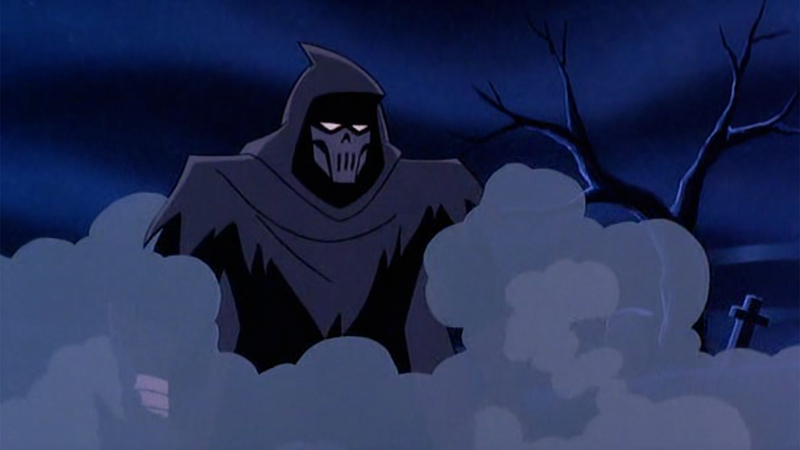 Even to this day, post-Dark Knight Trilogy, Mask of the Phantasm could still be considered the most faithful adaptation of the comics that still manages to succeed on pretty much every level. The Animated Series was never one to pander to children, often featuring storylines and addressing subjects that are largely considered a bit more “grown up” than your standard cartoon is willing to portray. The film that it spawned is no different, with one half of the story covering Batman being framed for the serial murders of several mobsters when a new vigilante turns up in Gotham who bears a passing resemblance to the Dark Knight, and the other half of the story covering the events surrounding Bruce making his first steps in becoming Batman and a romance with Andrea, the girl of his dreams, which nearly derailed his crime fighting career before it really ever took off. When I was younger, I do remember being somewhat confused by the way the story unfolds, but that never hindered my enjoyment of the film. These days, it’s obviously a lot easier to follow the story as it flashes back and forth between the past and present, largely because the character designs and transitions give context for where you are in the story, though Andrea pretty much has no noticeable difference in design between her college years and her somewhat older self. (It’s a minor flaw in Bruce Timm’s designs that his leading women always look young and beautiful while the men are allowed to age with dignity.) The two stories that we follow might seem as disparate as you can get, but the context for the two concurrent stories we are being told becomes clear fairly quickly, and by the time they intersect and reveal their connections, both have been equally as engrossing as the other, and you can’t wait to see how they will play out in the film’s big climax. 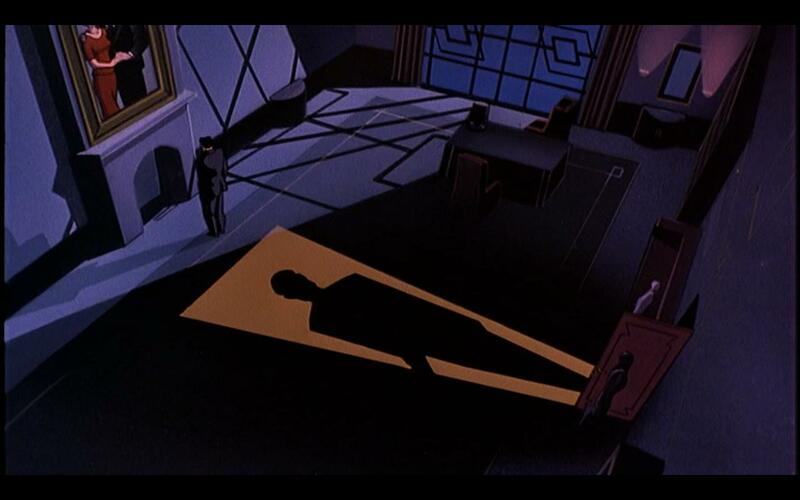 Unlike most of the live action films, Mask of the Phantasm puts a strong emphasis on Batman’s detective work over crazy spectacle action sequences. Batman is truly fighting crime in the shadows here, gathering information and interrogating people after mysteriously materializing from some dimly lit corner of the room. What action sequences that exist here make the most of their time and take advantage of the animation medium to really stand out, particularly in that big climax. Speaking of animation, it’s perhaps not as clean or fluid as some of Disney’s stuff at the time, but it offers up the best of what the series had to offer, and then some. Character designs and backgrounds are also strong – there’s so much personality and atmosphere in pretty much every aspect of this film, with the art deco influence of the old Fleischer Superman shorts this series adopted easily becoming one of the main reasons to watch this film. Of course, let’s not forget Shirley Walker’s incredible score. I used to rewind the VHS to the beginning of the movie again just so I could hear that phenomenal gothic choir theme as the camera pans over the cityscape of Gotham, and it still sends shivers down my spine when I pop the movie in and turn up the volume. Walker worked with Danny Elfman on the Tim Burton films, but it’s easy to say that her score here rivals, if not pummels, the work in that film. Voice acting is also equally as strong. You won’t find a more perfect actor to play both Batman and Bruce Wayne than Kevin Conroy, who really pioneered that whole “two voices for two characters” dynamic between the alter egos that not even Oscar-winner Christian Bale quite nailed down. 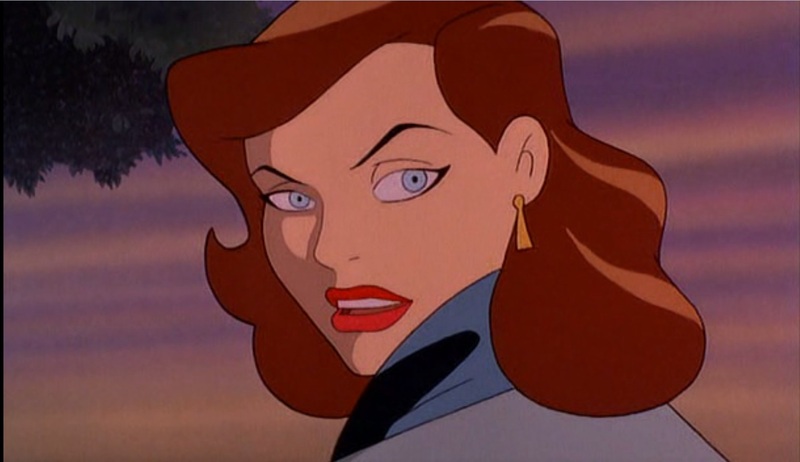 Dana Delany, who would later go on to play Lois Lane in the related Superman: The Animated Series, plays the femme fatale Andrea as a self-assured woman with both wit and sensitivity, and it’s easy to see why she would catch the eye and hold the heart of a man who very nearly abandoned his entire life’s mission for her. The character design for Andrea might not change between the two time periods, but Delany’s characterization definitely does as we learn more about the stuff she’s gone through. Supporting players are also very strong, particularly from Mark Hamill who makes an unexpected but always welcome appearance in the latter half of the film. Fans of the series (or even the first two Arkham video games) know the character he plays, but considering the fact that there are still so many people out there for whom this film remains in obscurity, I’m not going to spoil it. It’s certainly spectacular, however, and you won’t soon forget it. This is a film that deserves far, far more respect than it has received from its studio, but don’t let their lack of respect discourage you – critics and audiences (who have seen the film) continue to hold this film up as not just one of the bet Batman films, but even one of the best superhero films of all time. 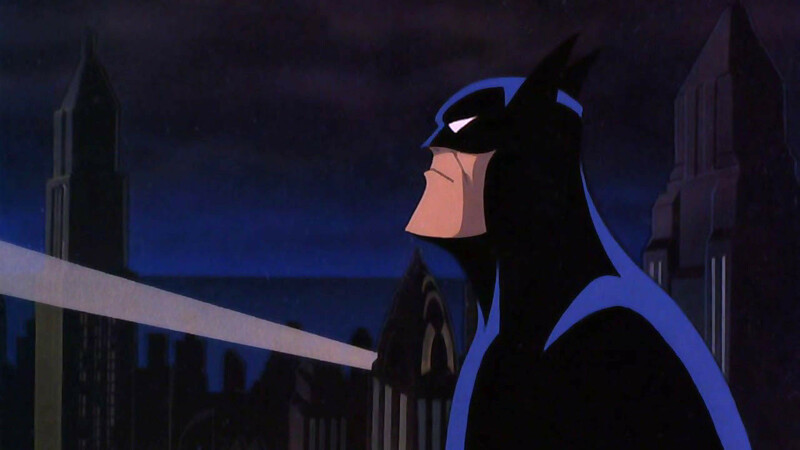 And when the other Batman movies of the world might prove to be too dark, too silly, too serious, or too overstuffed, Batman: Mask of the Phantasm continues to be the one that hits closest to perfection in almost every way.